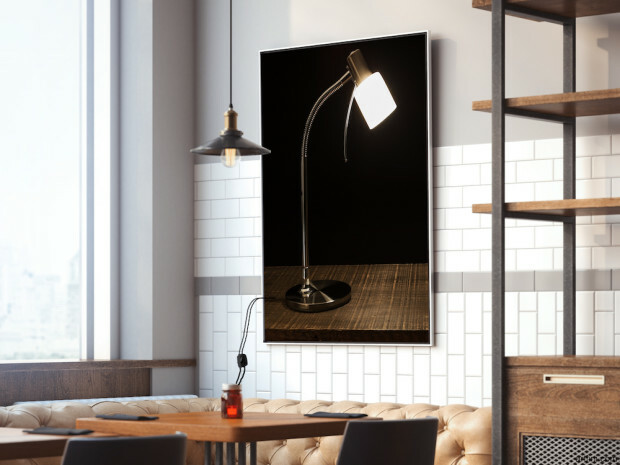 Lamplay (canvas that lights) is an unique functional lamp stretched on a canvas frame that you can print your OWN design or use ours. It is fun, personalized and artistic. Then, grab Lamplay at special discount now! I bet you have never seen any canvas that lights before! Products will be ready to ship immediately. You won’t have to wait to receive our Canvas That Lights. We will add 30+ Lamplay’s designs ’till the end of Year 2017. 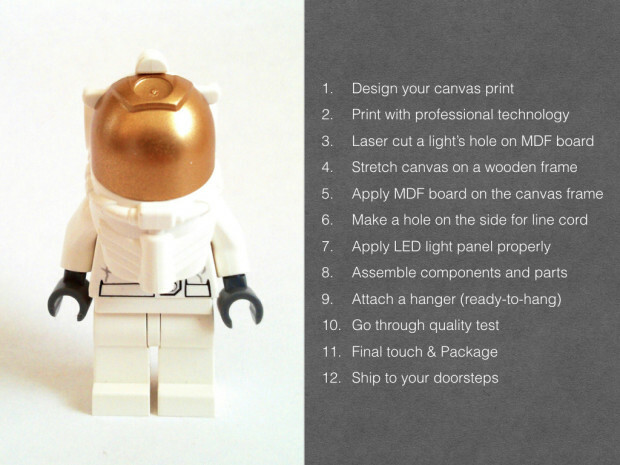 You can choose any of our designs, or submit your own design (for those who grab Customized ‘Canvas that lights’). All Lamplay come with 2 years warranty. We exchange a new product at no additional cost. Each products is hand-crafted and double-checked before shipping. We do not compromise on product quality. In addition, all Lamplays come with FREE global international shipping! That’s no brainer. 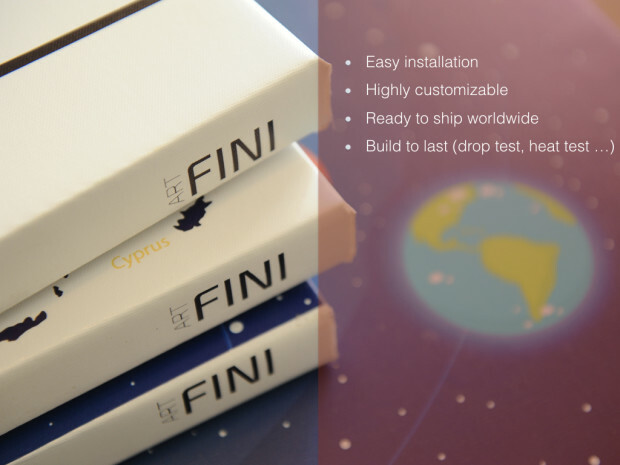 Moreover, products will be tested and carefully packaged before delivery. Salut, I am Johny (the Dark Lord’s foe). When I was a child, I burned my grandma’s art with an unwavering belief that light would bring wonder to the boring piece of art. I was right … for a brief moment, before it turned into ashes. Growing up, I found a team of like-minded people to set up a canvas printing business. Apart from traditional products, we spent weekends building creative projects like modular wall art, city-shaped canvas print, …. and Lamplay. Each Lamplay comes with a 2-meter power cord and a hanger. 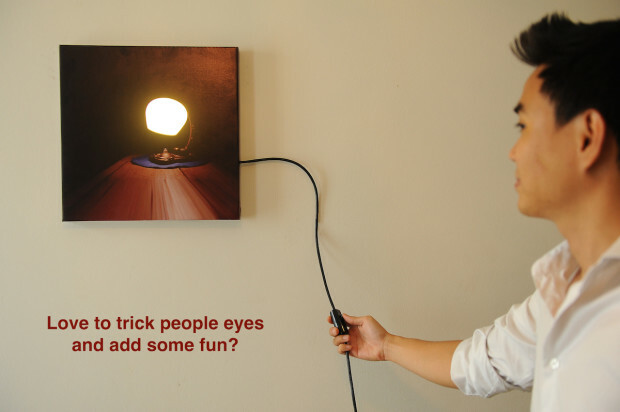 You can easily hang it on any wall. Just make sure there is an electric socket nearby to power the Lamplay. Tip: Extension cord will be useful. You also may like to put it on your desk or on a bookshelf. The light is bright enough for you to read books and do other activities. 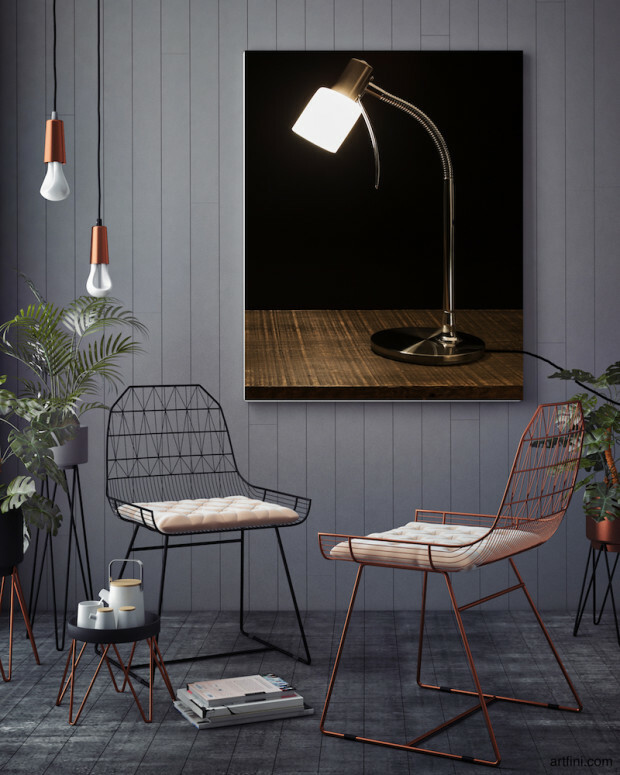 Design: The image printed on our canvas can be anything from your childhood lamp to a yellow Dachshund wearing a Santa hat. Simply let us know where you want to put the lighting source (for example, on the Dachshund’s nose). 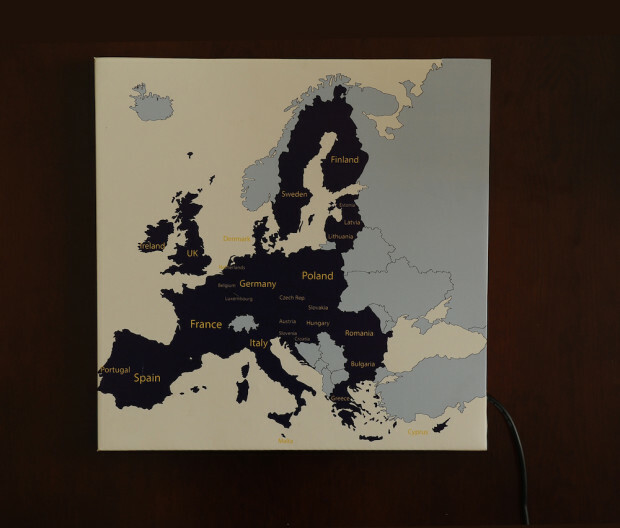 Size: We understand that Lamplay has to fit perfectly in your house, so size really matters. Fortunately, whether you want it 23 x 37.1 (cm) or 40 x 60 (cm), we can custom made for you. Right now, we ship Lamplay with size equal or smaller than 80 x 80 (cm). Drop us a line! Light color: We currently use 2 colors (White or Warm White). After reaching the Stretch Goal, we will add an upgrade to multi-color LED panel light for you at no additional charge. You simply turn on and off the light to switch between colors (White, Warm White and Yellow). Our team has spent a great deal of time to conceptualize, build and rigorously test the product. Lamplay is now ready to ship to your doorsteps. Lamplay will be label printed (brand name: Artfini) on a side and covered by 3 layers of protection. Our bright white, consistent poly-cotton blend matte canvas features an acid-free, neutral pH coating without any additives or agents. The canvas prints are designed to last well over 50 years, guaranteeing you will treasure your prints for a lifetime. Canvas frame has gone through a drop test. It won’t break on delivery or after that. Each Lamplay includes a free CE-certified LED light panel, which can last up to 10,000 hours. You can easily change the light panel if needed. Buy a Lampodium’s perk on the right to have an extra light panel whenever you need. 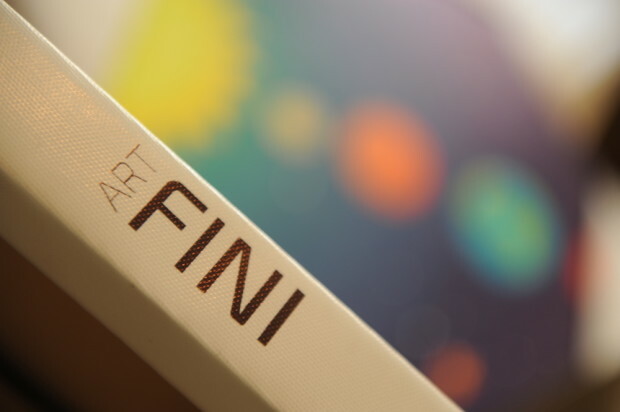 At Artfini, we believe in the power of imagination. 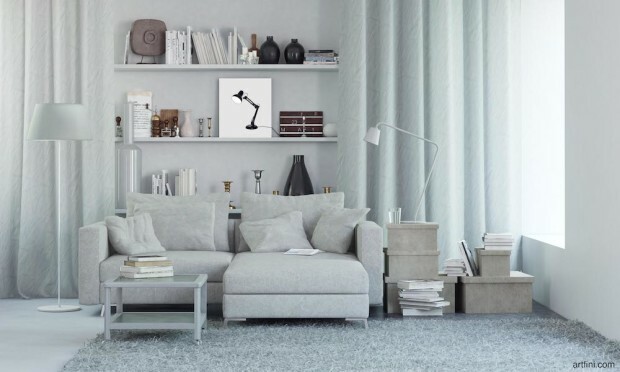 By integrating functionality to art, we strive for something fun, new, and highly customizable that people can use to create their own personalized and meaningful home décor. 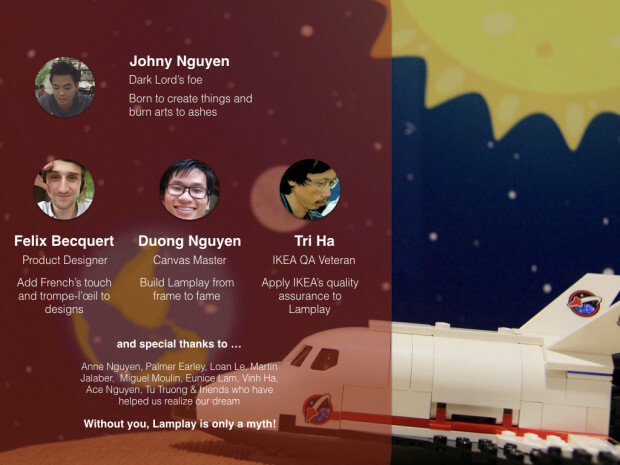 Lamplay is also created to fulfill our desire to bringing more innovative ideas to the world. There are total 12 steps from start to finish. Each and every Lamplay is handcrafted. Our skilled team members hand-stretch and meticulously inspect each piece to ensure your Lamplay is perfect. You’ll even find the name of the craftsman who brought your Lamplay to life, included on a removable sticker inside the frame. We like to keep it personal that way. 1. Q: In a nutshell, what makes Lamplay different? 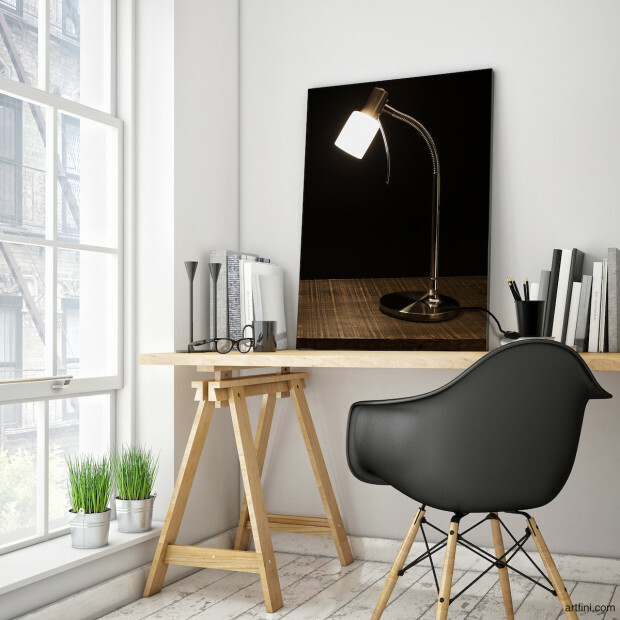 A: A customizable art that can light up! We didn’t see anything like that before. Finally, the customization part is a BIG plus. 2. Q: What do I get for each Lamplay? 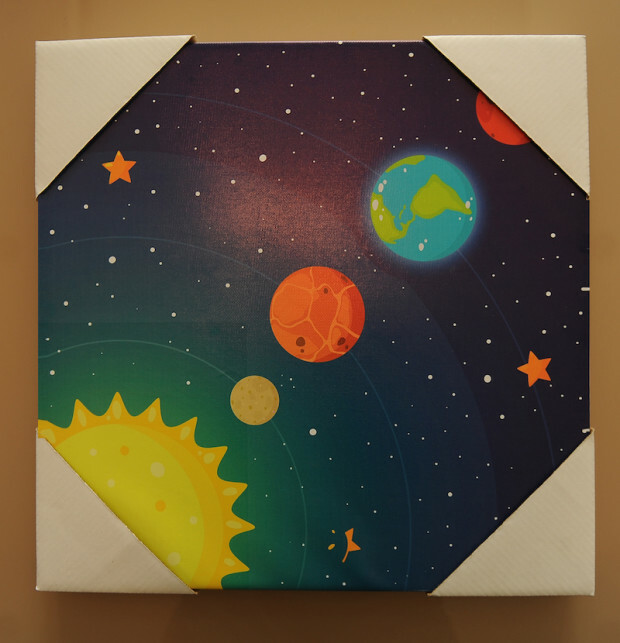 A: You will get a stretched canvas print, and a CE-certified LED light panel with electrical components and parts. 3. Q: Why should I buy a Lamplay? A: Firstly, it’s generally more affordable and cooler than buying a normal canvas print (or a lamp) at stores. Furthermore, Lamplay is meticulously handcrafted, custom-made, and more importantly, it is a genius idea that will add fun and personality to your house and your life. Also, you have backed a good cause. 4. Q: When will I receive my product? A: We will start to deliver your Lamplay right after the end of this campaign. We know it’s horrible to wait for something we love. Instead of launching on Indiegogo months ago and letting you wait, we diligently prepare our works until today. 5. Q: What is the LED light panel’s power? A: 6 Watt. It is safe to use while providing enough brightness and decoration. 6. Q: What should I do if I have bought one Lamplay and want to buy one more? A: Please simply add more quantity. 7. Q: Do I get a discount on the price/shipping fee if I buy more than one Lamplay? 8. Q: What color is the light? A: White. Also, we offer Warm White and Yellow – let us know by email should you need one. 9. Q: What is the Lamplay’s size? A: Currently, 40 x 40 x 3 (cm) and 40 x 60 x 3 (cm) are two optimal sizes. These sizes have been proven all-time favorites! The height will be from 3 to 4 centimeters, depending on the size of Lamplay. Note: However, we cannot offer FREE shipping for customized size. 10. Q: What type of voltage and plug is it for Lamplay? A: The LED light panel’s voltage ranges from 85 to 256V and Lamplay uses two-prong plug. Since the plug and voltage condition vary in different countries, please prepare your own plug adapter and converter if needed. 11. Q: How long is the cord of Lamplay? 12. Q: Can I change the LED light panel at the back of Lamplay? A: Absolutely! It’s an easy process and will not cost you more than 90 seconds. 13. Q: Can I wash Lamplay? A: You can wash the canvas print’s surface by using soft fabric to wipe gently with water. Also, please try to avoid any chemical liquid to clean. Water is fine. 14. Q: Will Lamplay be damaged in the shipment process? And we have a policy to exchange a new product if you receive a Lamplay in an undesirable state. However, we try to prevent it at all costs. Your Canvas That Lights will be safe to reach your doorsteps. 15. Q: Where do we make Lamplay? A: We design and develop Canvas That Lights in Paris (France). Beside, the production and shipping take place in Ho Chi Minh City (Vietnam). 16. Q: I’m a business owner/wholesaler/distributor and would like to sell Lamplay? 17. Q: My question is NOT listed here, what should I do? A: Send it to us at hello@artfini.com. We love to help.